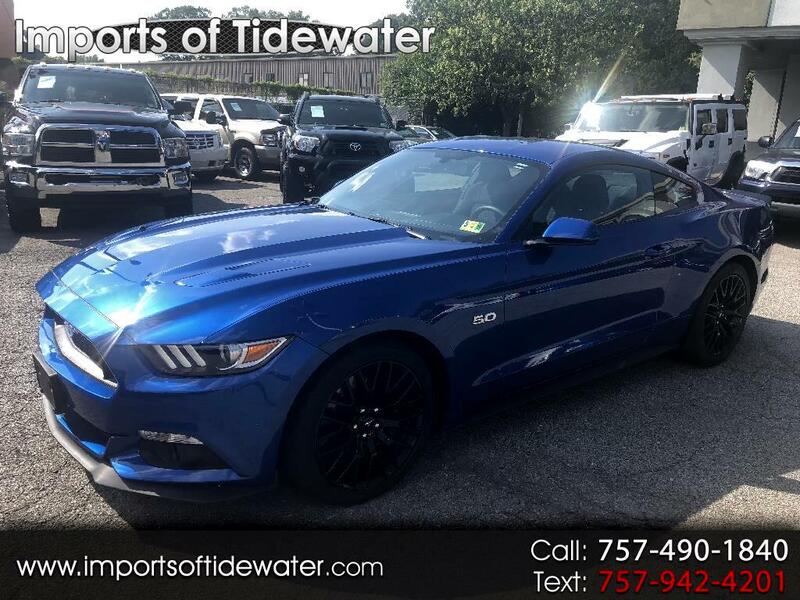 This 2017 Ford Mustang GT with the 5.0L V8 engine with the 6 speed manual transmission with only 13k miles is absolutely brand new inside and out. This car has just been serviced and inspected. *Still Under Factory Warranty*. It comes with black cloth interior, all power options, back up camera, roush exhaust, Track/Performance package, factory Brembo brakes, and much more. For more info and directions call 757-490-1840.